just ask anything related to mhu gameplay,tips,general info,etc. what are stygian zinogre's weak spots? what is the best way to farm plesioth? what is the easiest way to get thunderbugs? but oh well, might as well start with a first question. the healing hammer is an event weapon? Yes.. It's an event weapon. Here's a link to all event quests items know so far. Say... Did they change the damage divider for the Switch Axe? Though the bow guns got the most noticeable change in MH3U one MHtri, the armors and weapons as well as damage rations and defence did reglcieve slight tweaks as well to compensate for the new monsters and other additions as well as to fix a few things Capcom saw as improvements. Most of these seem to be minor things on the surface bit do add up to make big improvements through the little details. Honestly, I can't tell you all the numbers hand how exactly they have changed and to what existent but most of it deals with damage and hit zones as far as weapons go. well, the switch axe's divider has indeed been changed. instead of being 5.4, it's now 4.6, which is the same as the hunting horn for MH3U. the number isn't really all too important though, since all it does is show your displayed attack. The swax will just have smaller numbers now, that's all. the true raw isn't any different. ^ Thanks for the explanation. is it going to be like FU where you have an offline mode with quests up to G rank but those are the same quests you have in online, like, if youget to G rank offline you are actually on G rank online and vice-versa? You go all the way up through G rank offline. However the quests ranking overall has been a bit reworked from what it was in Unite and other games. So while it is similar its not completely the same either. Now online... Capcom has still withheld information on that at this time. I have looked over several of the screen shoots and videos again... I do not see any reflections.. only the shodowing..
Just as a question, are the bowguns modular like they are in Tri, or are they fixed like in P3rd. If no, that would be quite disappointing as that was the main reason why I liked bowguns in Tri. You only have 2 sets of guns, Heavy and light but within those you have more customization than you did in p3rd as well as (with many other weapons) a reworking of the damage as bit. If and when I get a chance, if someone else does not already know first hand, I will se if I can find more spacific details for you. Curious if anyone knows if there's a translated list of hunting horn music. I need to start memorizing! I was wondering how the HR system works. I read it's ranks 1 to 8 or so, but how would leveling work? Are hunter ranks the same as in tri? Can someone explain please? I'll go ahead and say that it's not the same as in Tri. But I'd have to look around to find the full differences. I know it's a bit of a cross between the system freedom unite and Tri had but can't remember off the top of my head. Once I get the chance to find it ill try posting it. I think it starts off the same way as Unite and P3rd, where each time you beat an urgent quest, you unlock the next level of quests and gain a rank. Once you beat Guran Miraosu, it goes into a Tri-style HR system. Your Guild points turn into HR points and you continue to rank up past HR 9. If I ever want to use voice chat on Ultimate, am I gonna have to fork over some money for a separate headset? 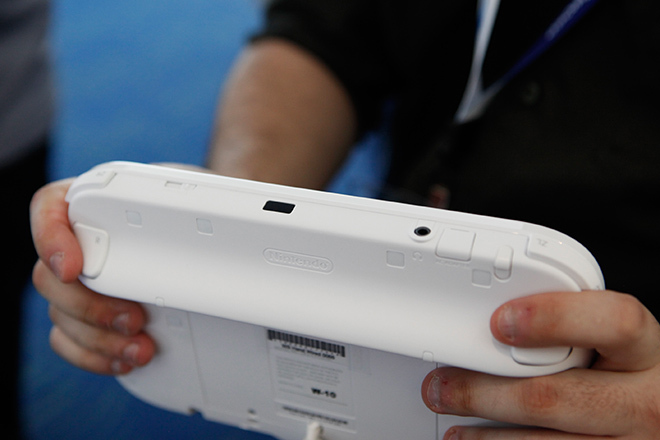 The WiiU gamepad is designed for the newer headsets that only use the single jacks. Much like the ones that come with Iphones and the big head sets with the mics..
you can buy and adaptor however. Though as of right now MH3U does not have voicechat/videochat but it is "Strongly" suggested that the western day one patch will add these. so i had a question im not sure if anyones asked this so im sorry if im repeating a question. so i have a japanese 3ds and im getting the japanese version of this game. will i be able to play americans who have this game? Though it will be likely EU and US can play together because of game differences in mh3g and mh3u Japan and the west will not be able to play together. Will the demo be a hard copy or will it be dowloadable content for Wii U?